It's been about a thousand years since I last posted. 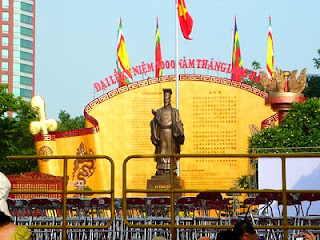 This is less of an exaggeration than it seems, as the preeminent event in Hanoi over the past few months was the city's early-October celebration of its 1000-year anniversary. Allow yourself to reflect for a moment: when Hanoi was founded, the world's population stood at around 250 million, and forests still covered between 45 and 60 percent of the world's surface. Half the world's civilizations did not possess written language, the classical Maya were still around, and William the Conqueror had yet to cross the English Channel. This was a very, very long time ago. Hanoi's founding ushered in what is often considered a golden age of Imperial Vietnam. 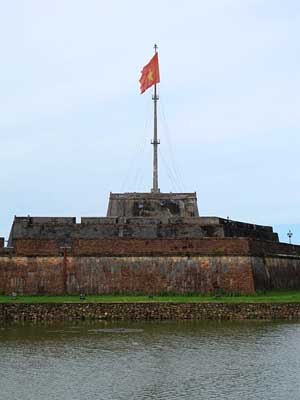 Abandoning the defensive fortifications of the old capital near Ninh Bình, Emperor Lý Thái Tổ foresaw a Vietnam whose strength laid in technical and commercial achievements. He founded Thăng Long - Ascending Dragon - where he had seen a dragon rise from the Red River, and over the next several generations the Lý kings constructed great hydraulic works, including a vast network of dikes and canals, laid the foundation for Vietnam's legal system, abolished torture, and founded one of Asia's oldest universities, the venerable Temple of Literature (Văn Miếu), whose ruins are a must-see for any visitor to Hanoi. 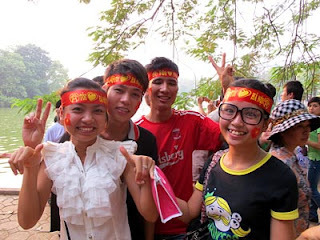 Nobody in Hanoi during September and October could have avoided being swept up in the festivities. 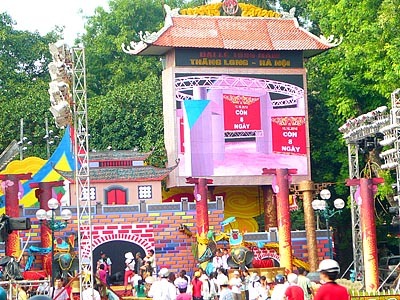 The city pulled out all the stops, closing off much of the city's central streets to traffic, chasing away hordes of street vendors, erecting stages for public cultural events, and putting up a giant video screen on the northeast corner of Hoan Kiem Lake with a countdown to the final day flashing in English and Vietnamese. Local residents seemed to be of two minds with regard to all the commotions. Street vendors in the center of town were clearly annoyed at being moved, residents were none-too-keen on the heightened noise levels, and the inconvenience of all the street closures provoked a few grumblings. But it was hard not to notice a sense of civic pride even among the most jaded - a pride that was fully justified. Like most other residents in the center of the city, I partially endured and partially enjoyed the celebrations. It was a good opportunity to learn about the city's history, to enjoy traffic-less streets (though this was balanced by worse-than-normal traffic jams on the city's remaining thoroughfares), to people-watch, and to reflect on what 1,000 years of change has brought to this once-tiny settlement in the Red River Basin. "City" is a relative concept, and what anyone viewing old photographs of Hanoi is likely to notice is how undeveloped the city remained as recently as 60 years ago. Dirt roads prevailed, a great number of the city's structures were made of wood, and an intricate network of canals and waterways still snaked their way through the city - much of the Old Quarter's serpentine design is a result of it having been built around this topography. Indeed, I still occasionally flash on the Hanoi I first saw in 1991, filled with bicycles and the quiet sound of breezes floating off the city's many lakes. Combining this vision with the extraordinary changes I've seen in just the year and a half I've been living in Hanoi, it's easy to conclude that the Hanoi of the future will be much different from the Hanoi that has come before. It is likely that, for this city redolent with a sense of history, the past is merely prelude. A few weeks ago, shortly after my friends John, Jean, and Martin left Vietnam, my brain went to Pittburgh, PA...and there it has remained. A deep well of homesickness has overcome me, such as I have not experienced in the 16 months I've been living in Vietnam. After spending countless hours pining over pictures of Pittsburgh's skyline, using Google Maps Street View to navigate the city's streets, and poring over local newspapers and blogs, I decided I needed a radical change. It was time to get unstuck. September 1, four days ago, I began running again. My official War on Flab and Ennui has begun. I've been awakening at 6:30 AM the last few days, and jogging about 3 miles – out from my house, twice around Hoan Kiem Lake, and back. 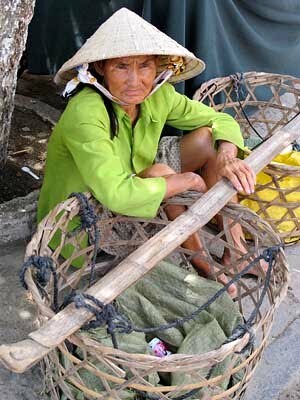 In addition to the health benefits, this task has also been reminding me of the beauty and magic of Vietnam. 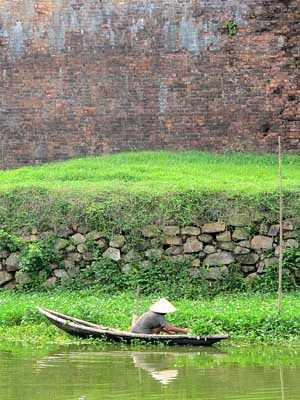 If you want to see Vietnam at its best, you need to get out of the house while the sky is still rosy from the dawn. The streets are a hive of energy. Street markets ablaze in color and movement; old couples taking their morning constitutionals; armies of women wearing Pat Benatar leotards doing aerobics ("fascist dancing") to the tinny disco beat; lines of women beating and massaging each other's backs; early morning wedding parties posing for photos: these are the scenes that greet me as I huff and puff my way around the lake. To be sure, four days have not been enough to bring me completely out of the doldrums. Once back home, I put on NPR and make my morning coffee, mimicking my Pittsburgh routine. After showering, I sit down at the computer, and check my e-mail and Facebook. For a moment, I could be forgiven for imagining myself in my mustard-colored office back home, with my black stone fireplace and a view of the Allegheny River. More than anything, I pine for my house, an 1890 Victorian brick building in Pittsburgh's Lawrenceville neighborhood, that I spent 5 years renovating before jumping to Asia. This house, more than anything, makes my return inevitable. But I also have solid reasons for being here. In a few short months, I will – for the first time since my divorce, which plunged me into a financial tailspin – be free of all credit card debt. I will then have more than a year to put away money, and if my calculations are right, I should head back to Pittsburgh in spring, 2012, not only debt free, but with a sizable chunk of coin in the bank. While not a lot by some people's standards, these savings will have signalled a fantastic turnaround from the debt burden I carried into this country. And I will have accomplished this reversal in less than three years, doing work I enjoy, and in a place that, when I remember to look at it, is remarkable. So I have taken on the task of recommitting to the present. The fact is, given the current state of the US economy, my job prospects probably remain better in Vietnam than anywhere back home. This, along with a general desire to shake thing up, was the main impetus behind my move, and the thinking seems as valid today as it did when I expatriated myself. 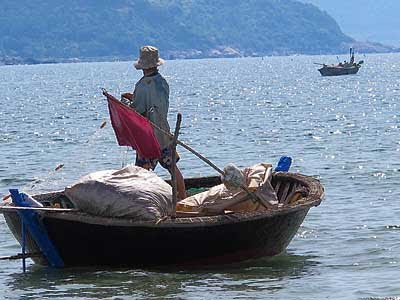 But the mistake I see many expats make is to treat Vietnam as a backdrop. It's fine to have goals and to envision one's retirement to a cottage by the sea, but treating the present as a means toward an end only cheapens the quality of one's experience. This is true wherever you are. The trick is to carry the goal in mind...and still enjoy the steps along the way. So the task, zen-like in its simplicity, is simply to be where you are. Just be. Wherever you are, look around. Why are you there? Are the reasons as sound today as when you first moved there? If they are, then appreciate that fact. Get outside and photograph something, take time to smell the roses. The world is filled with beauty that you can only appreciate to the degree that you forget about yourself. 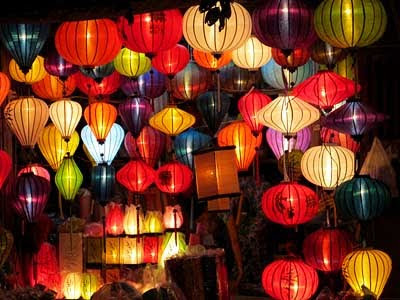 In the big picture, I know that someday I will leave Vietnam. And then there will be times when I look back on this period of my life in Hanoi, and really, really miss it. So best to soak it up while the experience is at hand. 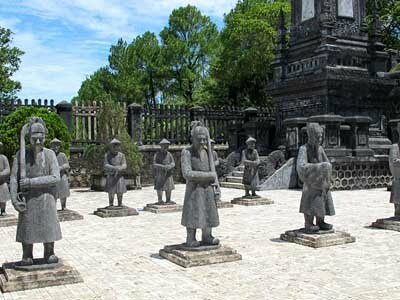 Huế is a relatively small city, but its historical and cultural importance gives it a justifiably big attitude. 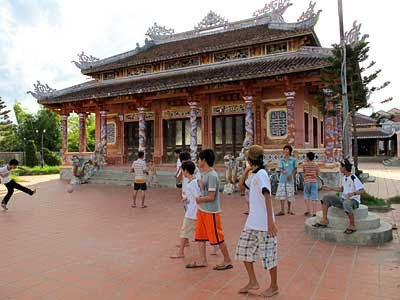 To understand Huế, a little background is needed. As any Vietnamese person will tell you, Vietnam can be divided into three regions – north, south, and center – each bearing distinct psychological, linguistic, and cultural traits. 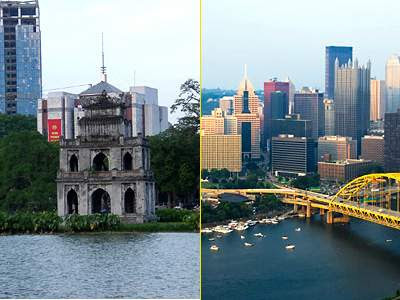 Hanoi forms the cultural center of the north, Ho Chi Minh City of the south, and Huế, even more than the much larger Danang, can be considered the focal point for central Vietnam. These divisions, and Huế's significance, have their roots in Vietnam's often tumultuous history. Throughout the 16th and much of the 17th century, Vietnam was engulfed in a power struggle between the Trinh Lords (Chúa Trịnh) in the north and the Nguyen Lords (Chúa Nguyễn) in the south. 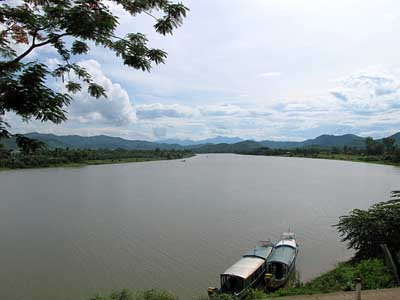 Their dividing line was the Gianh River (Sông Gianh), just north of Huế. This struggle lasted until 1802, when the Nguyen Emperor Gia Long unified the country and made Huế the national capital. When the French colonized Vietnam in the latter half of the 19th century, they organized it into three administrative units: Tonkin (north), Annam (center), and Cochinchina (south). The Nguyen emperors remained symbolic monarchs, meaning that Huế continued to play an important role in the country's affairs. The Nguyen, however, shorn of power, had little more to do than twaddle about making fussy food and building themselves opulent tombs. 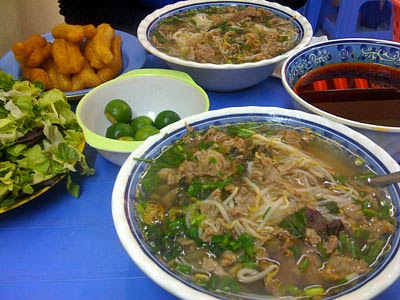 This cuisine and the relics of the old Nguyen Kings are what Vietnamese and foreigners alike go to Huế to enjoy. Huế's proximity to the 17th parallel made it a major battleground in the US-Vietnam conflict. The 1968 Tet Offensive in particular took a terrible toll on Huế. First, the communists overran the town and executed as many as 6,000 civilians in what came to be known as the Huế Massacre. The American/South Vietnamese counterattack that followed reduced much of the city to rubble. When I visited Huế in 1991, the effects of war were still visible. I remember walking into the old Imperial City through mounds of rubble which had long been picked over for scrap metal. Bullet holes and damage from artillery blasts could still be seen. 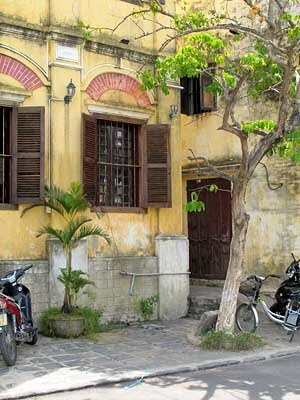 Vietnam, as yet, had few tourists, and scant resources with which to restore historical relics. As a result, I got to see Huế in a somewhat more decrepit state than one finds it in today. Nearly 20 years later, the city has found its legs once again. I wasn't sure I would like it last week when I returned, and checked into a disappointing hotel on a street filled with persistent cyclo drivers and street touts. But it didn't take long for the city to grow on me. 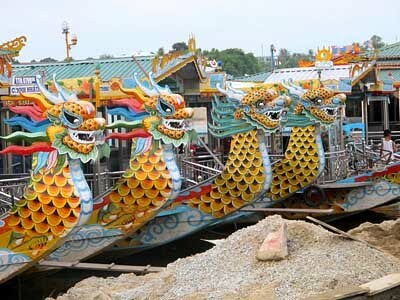 Once one leaves the tourist ghetto, Huế becomes a large town with a peaceful feel. The inappropriately named Perfume River (Sông Hương), with its famed dragon boats, provides a calm counterpoint to the urban vibe, and it doesn't take more than a few minutes on motorbike before one is amidst rice fields and farms. 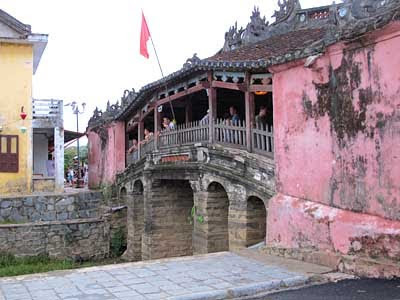 Travel in any direction, along waterway or road, quickly leads to one of the Nguyen Imperial Tombs, or some other fascinating historical site. And the landscape, with sun-drenched rivers winding among mountains that overlay like translucent layers of rice paper, is majestic. 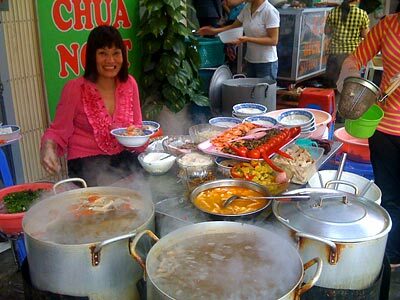 Vietnamese people throughout the country speak about Huế with pride. 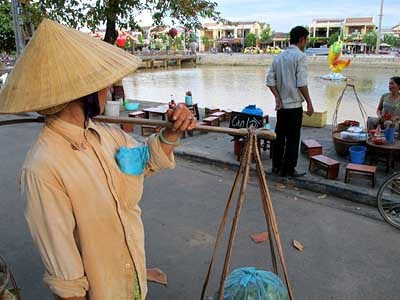 It is in Huế that the finest conical hats (nón lá) are found; Huế's women are renowned for their beauty; and Huế's cuisine – dishes like Bún Bò Huế, and Bánh Khoái – can be found in every city in Vietnam. I booked a mere two days in Huế and quickly wished I'd booked more. I intend to return and explore it further. For the person who wants to get to know Vietnam's history and cuisine, one could do worse than put in some time in Vietnam's former capital city, which has borne witness to so many of this country's struggles, and continues to soldier on. Hoi An (Hội An) in 1991 was one of the highlights of my Vietnamese sojourn. In the intervening years, it has become a must-see destination on the backpacker trail. I had heard of its development into a tourist locale, and was curious to see how much of its historical charm had been lost. It took me five minutes to hate the place. With store owners and street vendors harassing pedestrians every ten feet, I felt like a walking wallet. The broken English everywhere – "Hello, you buy my shop" – added to my feeling of estrangement. I was no longer an expat with decent language skills living in and partaking of Vietnam; I was an outsider, shoved to the other side of the fence from an area I'd grown accustomed to playing in. Sure, sure, the town is beautiful. It's a UNESCO World Heritage site for a reason. 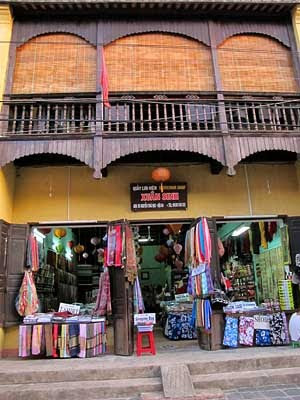 As a major Southeast Asian trading port from the 15th to 19th centuries, Hoi An's architecture reflects layers of multicultural influences. Its wooden shops and rolling alleys, along with architectural gems like the 17th century Japanese covered bridge all make the town worth a stop. Women in conical hats ply the Thu Bon River (Song Thu Bon) in narrow wooden boats and I'll be damned if it isn't picturesque. Truth be told, I made my peace with Hoi An once the initial shock had worn off. As tourist locales go, the town is better than most. The cyclo drivers are mostly courteous, and the initially aggressive store owners actually take "no" for an answer. Once I settled into the place, I thoroughly enjoyed my overpriced-but-delicious coffee and croissants at the neat riverside restaurant with the English-speaking staff and tasteful decor. 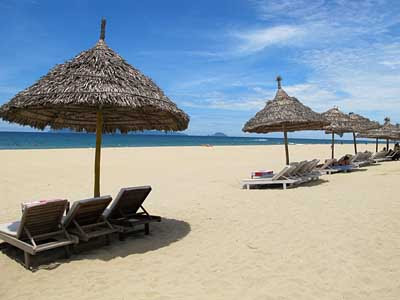 Hoi An's beach deserves special mention. It is quite simply one of the best beaches I've been to, with clean sands, perfectly warm water, few tourists, and oceanview restaurants serving astounding seafood at reasonable prices. 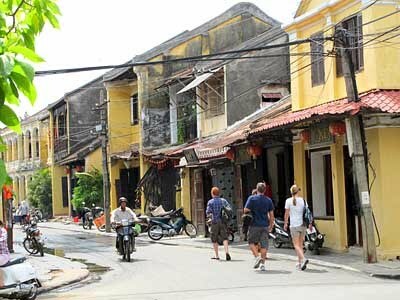 If you did nothing more than enjoy a beach holiday in Hoi An, it would be all right. But I now begin to understand the negative reports I've heard from travellers passing through Vietnam. For the average vacationer who follows the tourist trail from Hanoi to Saigon, hitting Nha Trang, Hoi An, Hue, Halong Bay, and Sapa, Vietnam must seem an endless barrage of street touts and price-gougers. The open frankness I enjoy in the Vietnamese character, when applied to tourists, becomes a direct assault on your wallet. It could wear anyone down. Just remember that basing your opinion of Vietnam on places like Hoi An leaves you with a warped picture of what the country is about. These places are worth visiting to be sure; they're tourist locales for a reason. The thing to do is go in, take your pictures, and leave. And then rent a bike, go out and explore the country. Seen from the air, Da Nang (Đà Nẵng) is built on a stretch of coastline from which two small bites have been taken out: one by Da Nang Bay (Vịnh Đà Nẵng) to the north, and the other to the east by the South China Sea. The resulting land form is shaped like an apple core, with the Sơn Trà Penninsula at the top and the city itself at the foot. The Han River (Sông Hàn) winds its way through the core, and shreds at the bottom into a network of waterways that end in spindly nerve endings to the south and west. One can easily see why the French, in 1940, chose to build an airstrip here. The heart of the city is flat, with clear visibility from all sides. Heading down from northern Vietnam, this is where, after passing over the Hai Van Pass (Đèo Hải Vân), Vietnam's coastal lowlands officially begin. Broken only by a mountainous area around Nha Trang, these lowlands run the length of Vietnam's coast for nearly 1000 km southward, all the way to the Mekong Delta. The town itself is fairly ordinary at first blush. Definitely a small city and not a large town: the feeling is distinctly urban. Modern Kia dealerships beside plastic tarped eateries; Da Nang is, like all of Vietnam, developing at rocket speed, but has yet to reach the level of, let's say, Malaysia. It is also a major port city, Vietnam's third after Saigon and Hai Phong (Hải Phòng). One senses a fairly healthy local economy: there are few shanties to be seen, and everywhere there is construction. Early morning, I rent a motorbike and head out to explore. Stopping for a quick coffee in town, I quickly realize the impenetrability of the local dialect. Recently, I've been getting cocky about my Vietnamese; I am, in fact, fairly conversant in most situations. But the people here speak a dialect that is not only more nasal and lodged further back in the throat than what I'm used to, many of the words are different altogether. So the northern word for "thousand" - nghìn - is here pronounced ngan, making prices particularly inscrutible. I engage in friendly chit-chat with a man in the cafe, and it's like speaking to a Glaswegian: he understands me perfectly, but I can barely make out what he's trying to say. This is going to take some getting used to. I've seen enough of the town and decide to head toward the beach. You can see what attracted American GIs to this place: the sands are flat and pristine, the shimmering blue water, while famous for its undertow, has a light surf, and the gleaming sun makes it all seem quite the tropical paradise. The beaches are almost completely abandoned, with a few pockets of beach chairs and thatched umbrellas awaiting tourists that never come. Riding south along the coastline, however, there are a thousand condos, resorts, and casinos under development, and one can see it's just a matter of time before this place becomes Cancún. I wheel back north, past the stretch of coast which was once dubbed China Beach. All signs of the former US presence have long been stripped away; there are only fishermen in curious little round boats pulling up their nets, some drydocked boats, and a few palm trees near the road under which people are beginning to take shelter from the late morning sun. Off to the north lies the Son Tra (Sơn Trà) Penninsula, a mountainous promontory with a large statue of Lady Buddha (Phật Bà Quán Thế Âm Bồ Tát) overlooking the sea. This is another area ripe for development, and I suspect that in a few years' time it too will be dramatically transformed. 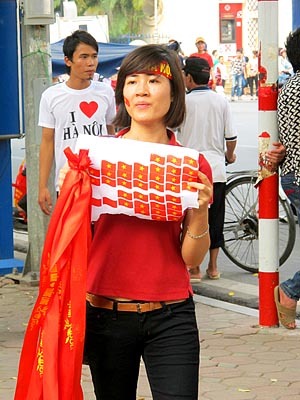 I do not denigrate Vietnam's development aims. Western travelers often go in search of "traditional" cultures and "authentic" locales, and are disappointed when they find those locales have become "modernized" or "spoiled". The idea that Vietnam should remain in some kind of primitive pristine state is chauvanistic and demeaning; every culture undergoes change, and it is perfectly reasonable to desire development and economic progress. 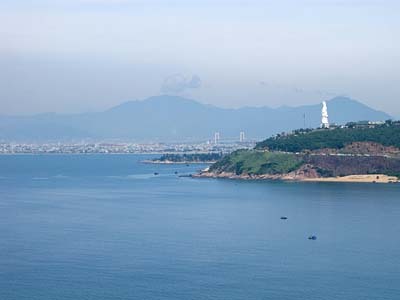 But from the hillside, overlooking the coastline and the small city it frames, I feel this is the perfect time to be visiting this part of Vietnam – before all the damn development everyone so longs for brings its own mix of benefits and challenges. 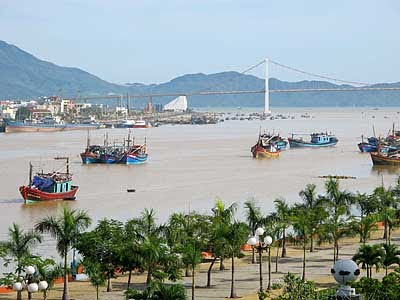 With fewer than one million people, Da Nang (Đà Nẵng) is Vietnam's fourth largest city, after Ho Chi Minh City, Hanoi, and Hai Phong (Hải Phòng). To students of the US-Vietnam war, the city carries special significance. It was here that the first Marines arrived in 1965, and it was here that US ground combat operations ceased in 1972. 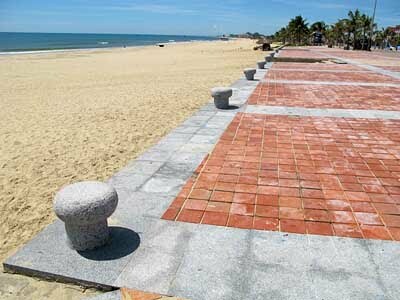 While Da Nang has a history that dates back nearly 2,000 years, and was once Imperial Vietnam's major port, much of the city you see today was, in fact, built around the old US army bases. 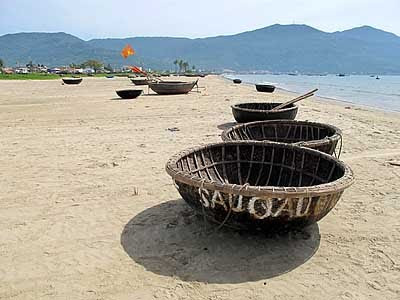 Several of the iconic names from the Vietnam conflict – China Beach, Danang Air Base – had their origins in this port city at the edge of the South China Sea. Da Nang is one of the cities I visited on my inaugural trip to Vietnam, in 1991 (see The Road to Hanoi for background on this trip). At the time, like all of Vietnam, the city was still awakening from its post-war slumber. I remember a quiet, mid-sized city with hordes of teenagers cruising around on bicycles. Like so much of that trip, most of the memories have blurred, becoming a pastiche of images that register more on the emotional level than on the iconic. The last few months in Hanoi have, like the memories of that adventure, also been a blur. The management job I was so happy to have gotten has turned out to be considerably more challenging than anticipated. Technical complications, organizational politics, and overwork have taken their toll. In light of these pressures, Hanoi has become an annoyance, a cacophany of street noises and too-fast drivers. I had to get away. So it is to central Vietnam that I have fled. My good friends John, Jean, and Martin Bolivar (my ten-year old soul-mate with a mop of blond curls) have come to Vietnam on a family vacation, and I have decided to spend the next ten days or so with them, visiting Da Nang, Hoi An (Hội An), and Hue (Huế). It is the first time since 1991 that I have come down into the heart of this country, and I am anxious to see not only how it has changed, but what dormant memories may be jostled by returning to these places I visited nearly 20 years ago. I arrive in Da Nang International Airport (Sân bay quốc tế Đà Nẵng), which sits on a flat stretch of what used to be farmland in the middle of town. At the height of the war, the city's airport was one of the world's busiest, reaching nearly 2,600 air traffic operations daily. Today, the airport is a quiet shadow of its former self; after deplaning I pass the airport's two baggage carousels and grab a taxi into town. Nearly 10 PM and the streetlights are on. Da Nang's drivers are as mad and obsessed with honking as their northern counterparts, but there are fewer of them so the net effect is not quite as jarring. Old Vietnam hand that I am, I scarcely blink as my driver nearly crushes half a dozen motorbikes on our way to my hotel. 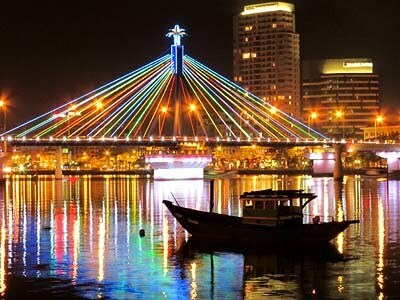 The hotel is at the edge of the Han River (Sông Hàn), just beside the Rong Bridge (Cầu Rồng). At night, the suspension bridge is lit up like a ferris wheel, and the vision of Han River Bridge (Cầu Sông Hàn) behind it brings to mind memories of my beloved Pittsburgh. After checking in, I head outside in search of memories. More buildings than I remember, taller too. I'm not even sure where I stayed before. Beside the river, a small gathering of kids are whizzing around each other in electric cars, grazing each other, learning to be awful drivers. A middle-aged woman with her camera on a tripod is taking pictures of a young couple with the bridge behind them. I try to catch a whiff of the sea, but the air is still and odorless. I cannot find the Da Nang of my past, and decide to surrender to the Da Nang of the present. I resolve to explore the town more tomorrow while I wait for the Bolivars to arrive. I have adventures in mind, and a list of foods I want to sample. But for now, I have come to Da Nang only to sleep. Tony Guglietta, in Mr. Massini's third grade class at P.S. 249 in Brooklyn, New York, circa 1971, used to pull the most amazing things out of his nose. Tight and unctuous, with a slight curl, his magnificent creations were not entirely unlike the entrails of a mollusk. For this reason, perhaps, I've never been a huge fan of escargot. Over the years, I've made my peace with eating snails – at least as the French eat them: with a medley of shallots and spices, garlic, lemon, and butter. High in protein, low in fat, there's a reason these animals have been eaten by humans since prehistoric times. While snail is not the first appetizer I'm likely to order in a French restaurant, I admit I've eaten some fine gastropods in my day. Like the French, Hanoians love to eat snail – a tradition they developed long before the French arrived. Snail eateries in Hanoi are ubiquitous, ranging from sidewalk stalls that serve heaping mounds of boiled mollusks, to restaurants that specialize in a range of snail-based noodle dishes and soups. Like the French, the Vietnamese often pair snail with garlic, but ginger, chillies, tomatoes, spring onions and the perennial nước chấm all help to give it an entirely Southeast Asian flair. There are, however, many reasons to treat Vietnamese snails with care, besides any memories they may conjure up of Tony Guglietta's third grade masterpieces. And this has to do with a fear of their toxicity. Most snails subsist on a diet of living and decaying plants, though some species may also ingest carrion. It is not uncommon for them to acculumulate bacteria and other material that may be toxic to humans. This is why the French take great care to purge snails before eating them. The French will leave snails for days in wooden boxes, then encase them in rock salt, and wash them numerous times in an effort to get them to disgorge whatever's in their intestines. After all this effort, you can usually assume French escargot is safe to eat. Hanoi snail is another matter altogether. While the French feast on land snails, most of the snails you get around Hanoi are paddy snails, pulled from the freshwaters surrounding the city. One needn't be an environmental scientist to eye these waters with suspicion. 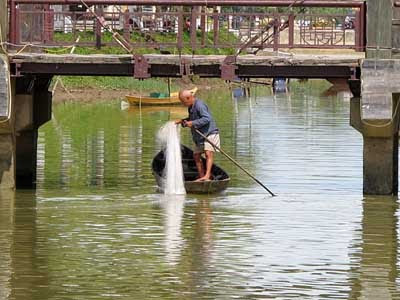 Filled with a host of chlorinated pesticides, PCBs, and other dangerous chemicals, as well as zoonotic trematodes - a parasitic fluke that may lodge in your liver or intestines - the rice paddies from which Hanoi's edible snails emerge are a breeding ground for natural and man-made toxins. Because snails lack the enzymes to metabolize these toxins, the toxins accumulate inside them, and get passed on to you, the diner. All this might be tolerable if the Vietnamese took the same care to prepare snails for eating as the French. But do you think that happens? Hardly likely. Having said that, bún ốc Hà Nội is one snail dish I have on occasion because, potential toxins and flukes aside, it tastes good. Bún ốc Hà Nội is a medley of snails and rice noodles, served in a tangy and spicy pork-based soup, with a generous helping of basil, bean sprouts and mixed fresh herbs. Lighter and less spicy than the common bún riêu cua, which is made from crab, bún ốc Hà Nội is a very tasty dish that can usually be found in small specialty eateries. A specialty of Northern Vietnam, it works equally well on a cold winter day (because of its heat) or as a springtime lunch treat (because of its lightness). There are other snail dishes to be found in Hanoi, including stuffed snails, and grilled snails with lemongrass, which look quite inviting. However, I will continue to handle Hanoi's snails with care, indulging in them once in a great while. I would recommend Hanoi snail dishes only for the intrepid gastronome – ideally one who didn't attend school with Tony Guglietta. "Develop an interest in life as you see it; in people, things, literature, music - the world is so rich, simply throbbing with rich treasures, beautiful souls and interesting people. Forget yourself."